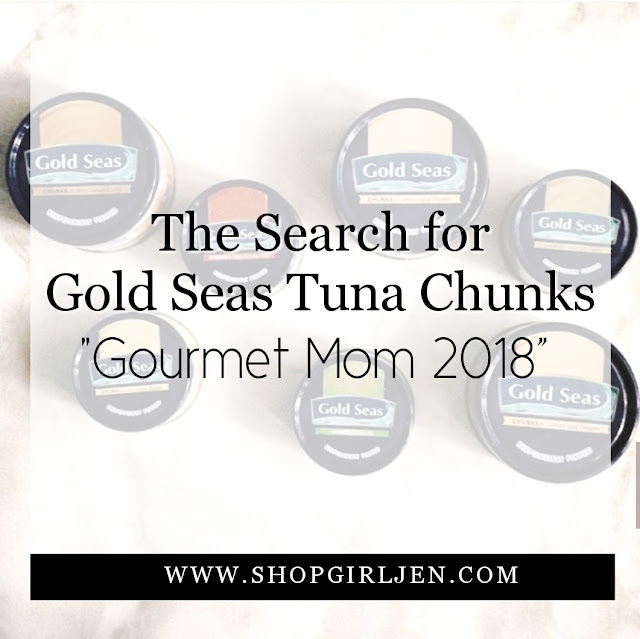 Shopgirl Jen: THE SEARCH FOR GOLD SEAS TUNA CHUNKS "GOURMET MOM 2018"
THE SEARCH FOR GOLD SEAS TUNA CHUNKS "GOURMET MOM 2018"
Calling all mommies who loves to cook! Gold Seas Tuna Chunks is in the search for a kitchen goddess who can whip up delectable healthy gourmet dishes for her family. 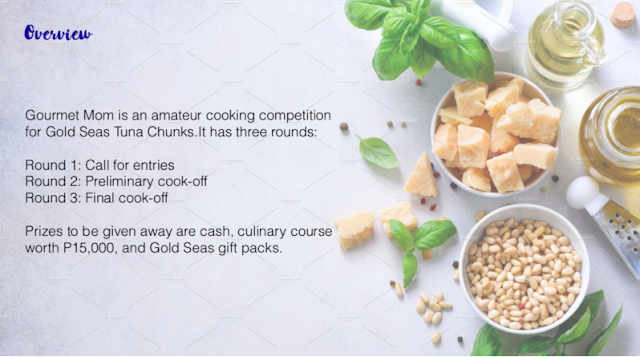 Round 3: Final cook-off Prizes to be given away are cash, culinary course (for grand winner only), and Gold Seas Tuna Chunks gift packs. 2. 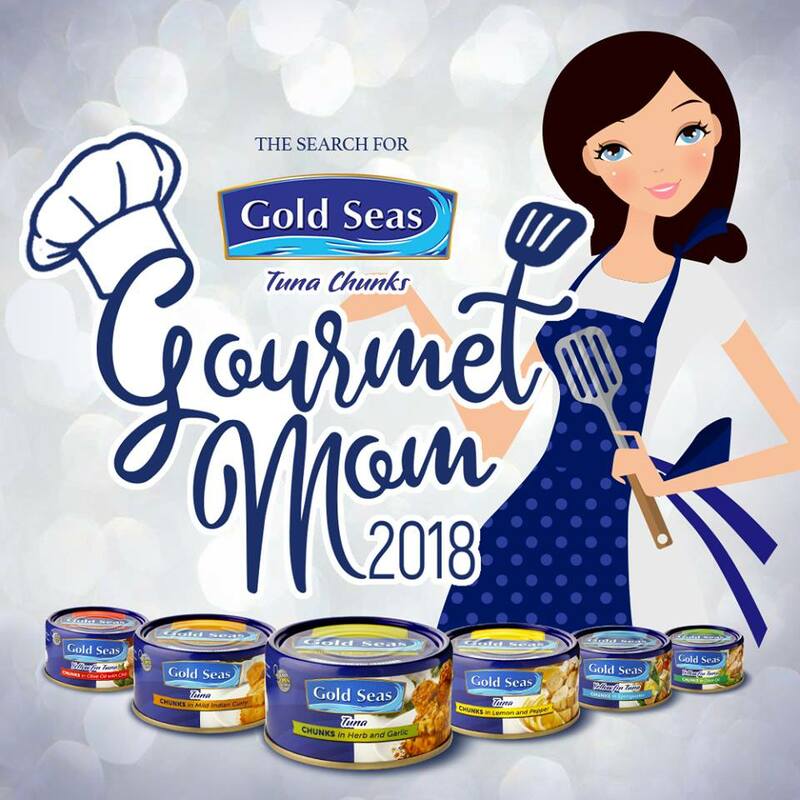 On Gold Seas Tuna Chunks Gourmet Mom promo post, comment a photo of yourself with your stovetop gourmet recipe using Gold Seas Tuna Chunks together with the following hashtags: #GoldSeasGourmetMom2018, #GoldSeasTunaChunks, #TasteMatters. 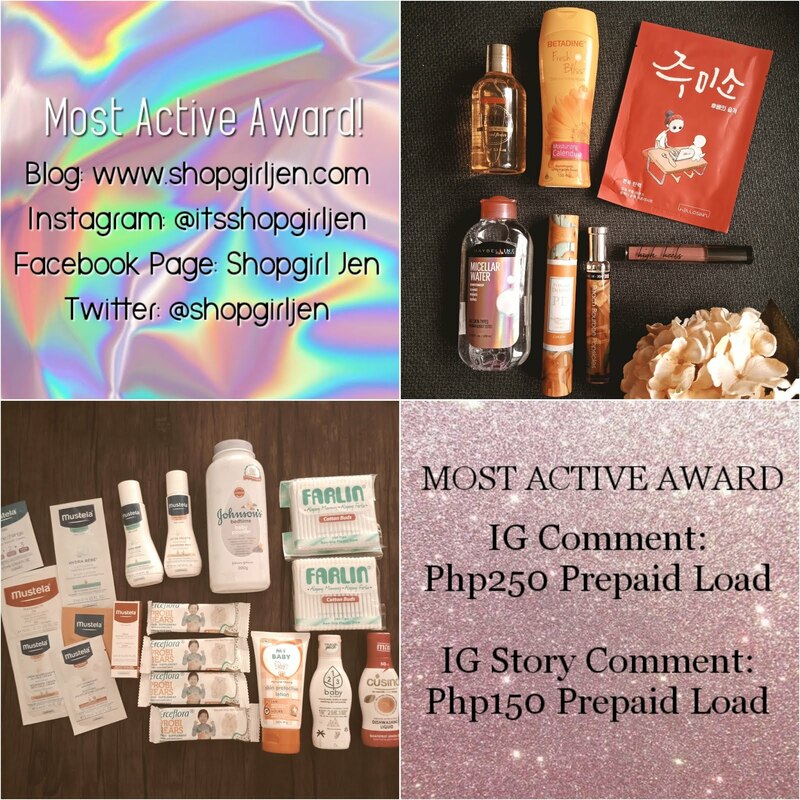 Only posts with all the official hashtags will be considered as official and qualified entries. All fields are required to be filled-in in order to officially submit the entry. 4. Ten (10) participants will be selected for the cook-off competition on August 4, 2018*. 5. Call for entries is from May 15 to June 15, 2018. 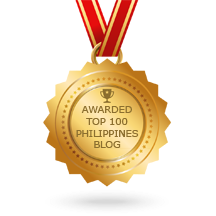 Cut-off period for submission of entries will be on June 15, 2018 at 11:59pm. 1. The ten (10) participants will compete at Glorietta 2 Activity Center*, Makati on August 4, 2018*. 2. The ten (10) participants will be given 30 minutes to cook their submitted recipes using Gold Seas Tuna Chunks. Each participant will be given a P1,500 gift certificate for the purchase of their own ingredients which they need to bring to the cook-off. 4. The five (5) finalists who will compete in the final cook-off will be announced during the event proper. The final cook-off will be held on the same day. 5. 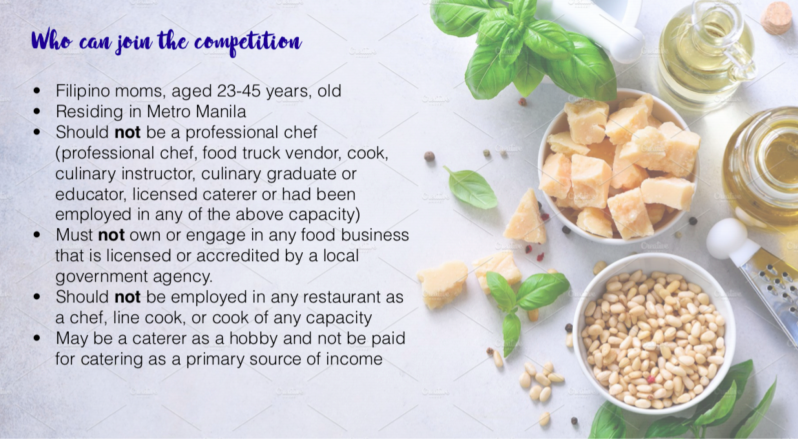 The five (5) contestants who did not qualify for the final cook-off will be given P10,000 consolation cash prize and Gold Seas gift packs worth P1,500 each. 1. 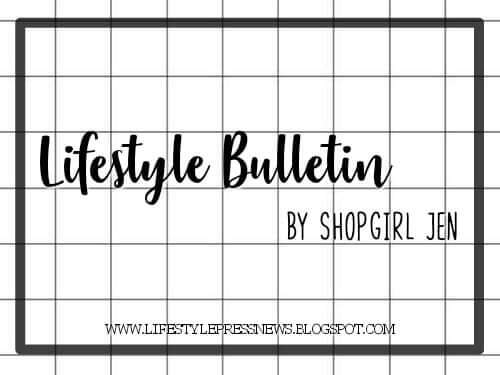 The five (5) finalists will compete at the same date and venue – Glorietta 2 Activity Center*, Makati, August 4, 2018*. 2. Each finalist will be given a mystery box. All they need to do is to think of a creative and delicious way to cook a dish using Gold Seas Tuna Chunks with any of the mystery ingredients inside the box. The finalists will be given 30 minutes to cook their dish. The mystery box will consist of Gold Seas Tuna Chunks gourmet flavored variants and mystery ingredients. Contestants may claim their prizes during the event proper on August 4, 2018*. 1. 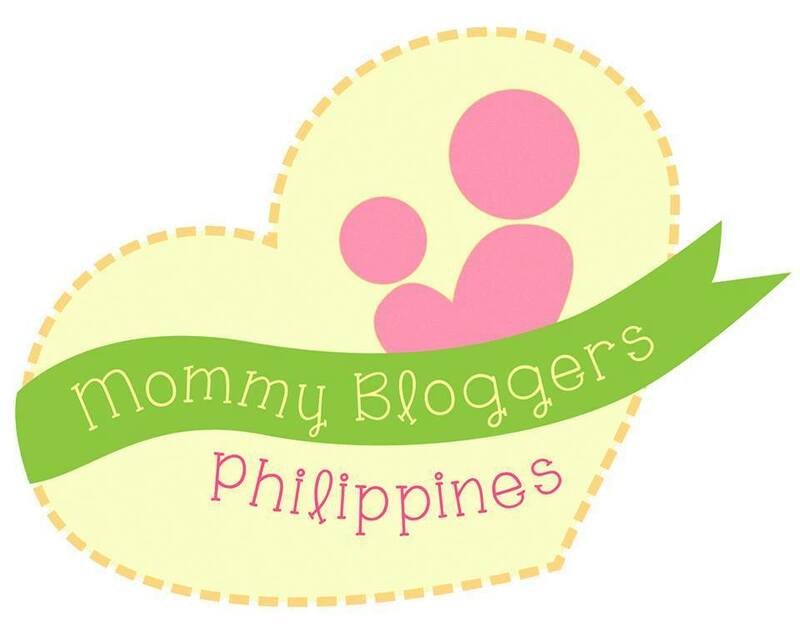 Participants are limited to Filipinos residing in Metro Manila area only. 2. 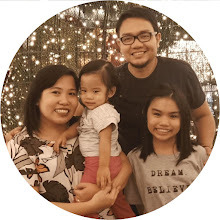 Employees of Gold Seas Tuna Chunks, advertising agency partners, sales and distributors are not eligible to join the contest as well as their relatives up to 2nd party of consanguinity or affinity. 3. General Nutrifoods Philippines, Inc. (GNP) reserves the right to conduct a verification process for all potential winners before awarding any prize. Winners who fail the verification process will be disqualified. All decisions made by General Nutrifoods Philippines, Inc. (GNP) on all matters related to this promotion are final. 4. All gathered recipes, photos, and captions could be used for the following materials of Gold Seas Tuna Chunks: Exhibit, Company’s brochures, posters, billboard, online advertisement, website, web blogs, social networking sites, and other online marketing sites. No compensation in cash or kind will be given to participants of this promotion in return to using their recipe, photos, and/or captions. 5. Winning recipe/s will be part of Gold Seas Tuna Chunks official recipe library.